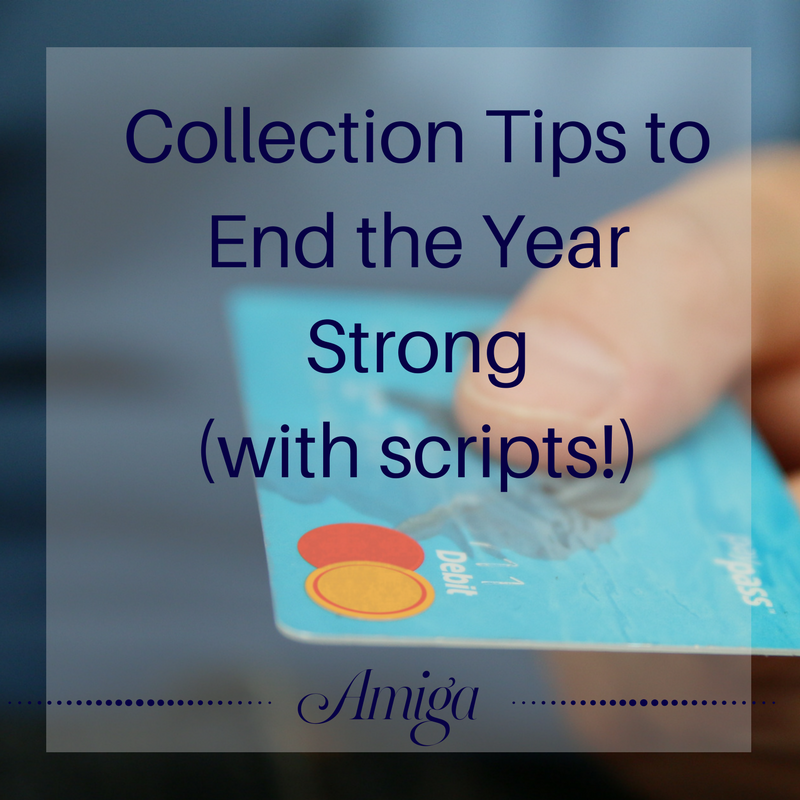 End your year strong with COLLECTIONS! I know that "collections" doesn't really invoke the "Christmas spirit," however, we are reaching year-end, and it's time to make sure that you have earned at your fullest potential this year. For some reason, us lawyers always feel bad about collecting. I know that I have felt embarrassed to call about overdue accounts. In a way, I felt like I was "begging for money" and that challenged me deeply. I would avoid collections, trying to justify that "my client needs the money more than I do," and "he'll pay when he's ready." All of these thoughts were holding me back to earning what I should be earning at my law firm. A lot of solo practitioners and small firms don't send monthly bills regularly. This is one of the ways that lawyers get stuck in underearning. We get further stuck in underearning because we start justifying our failure to mail bills, and then later our failure to collect on overdue bills. If you think of it this way, if you aren't billing regularly then your client may not know he is late on his payments, so then a "collections call" is nothing more than a reminder. For some lawyers, this information will be easy to find. However, there are some lawyers who do not know who has paid, who hasn't paid, when people have last paid, and how much is owed. If that describes you, take action now. Take 30-60 minutes by no later than tomorrow to begin to figure this out. Even if you can't finish it, start making your list and finish the rest of the steps here. Hi [client name], how are you doing? I'm calling to see if we can come up with a plan to help get you caught up. What did you have in mind? Before making the call, come up with a list of objections that you think you will hear and be prepared to respond to them. Most likely you will hear, "I just don't have the money right now." What other objections do you think you can expect? - "Believe me, I get that. In order for this office to run, it also takes money. If you aren't paying, then I can't pay my staff, the lights, internet, or anything else. That's why I am calling today. How much will you be able to pay today?" - "I hear you, but let's get you on a payment plan then to pay this off. Would $150 a week work for you?" If your client is not already paying on automatic, recurring payments, then use the phone call to enroll them. You can have them verbally authorize this over the phone. You can send them a follow-up letter or email to confirm their consent. "Let's make it easier for you to make your payments in the future. I can set you up on recurring payments and then you won't have to worry about any payments in the future. All I need is your credit card information, and it will automatically charge you on the 15th of each month. How does that sound?" "I am glad we were able to make a plan to get you caught up in your payments. Let's make it easy to stick to it by enrolling you in automatic payments. All I need is your credit card information and it will charge you on the 1st of each month. I'm ready for the numbers whenever you are." An important tip for customer service and sales is to always agree with your client and try to always say "yes." For example, if your client says, "I never pay late, it's just that this month was hard." You don't need to say, "Well actually you've been late every month for the last 6 months." Instead, agree with the client. "I know you've been working hard to make ends meet. Let's go ahead and get you caught up." You see, that acknowledges what he says about his struggles, and then puts a positive spin on it. If you have a client who pays late every month, you can say something like, "I can see that it's hard for you to make payments on the 1st. Would it help if I changed your pay date to the 15th?" These small modifications can help you collect at a hire rate and also ease the financial burden for clients who are struggling. If you can't get a payment on the first call, call back again in a few days. Follow up again in a week. Get rid of the thought that you don't want to be bothering the client. Getting a client to pay helps you both. You are doing great work for the client and working hard on his case. You deserve to be paid. Ensure that your client values the work and honors the contract by paying you what you are owed. It is often best if someone who is not the lawyer can make these calls so that way if you need to talk to the client about something case-related, he isn't trying to dodge your calls for non-payment. However, if you're the only one who can do it... then do it! What other tips do you have for collecting on overdue bills?